with NCMC on Saturday and Sunday, September 8th and 9th. 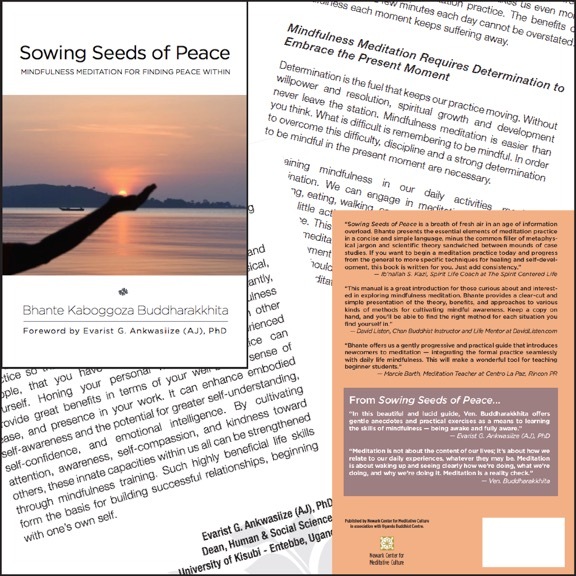 The books to be published are Planting Dhamma Seeds: The Emergence of Buddhism in Africa and Sowing Seeds of Peace: Mindfulness Meditation for Finding Peace Within. They will only be available for a special sale price of $10 and at a limited quantity to participants at the programs — first come first serve! They will soon also be online with Amazon for purchase at $13.95. This is the first time that these books will be published in the United States and the first books to be published by NCMC! We have a short term agreement to publish these books online as a trial project in order to see if publishing spiritual and meditation books could provide a slow and steady stream of income for NCMC in order to fulfill our mission and support our programming. 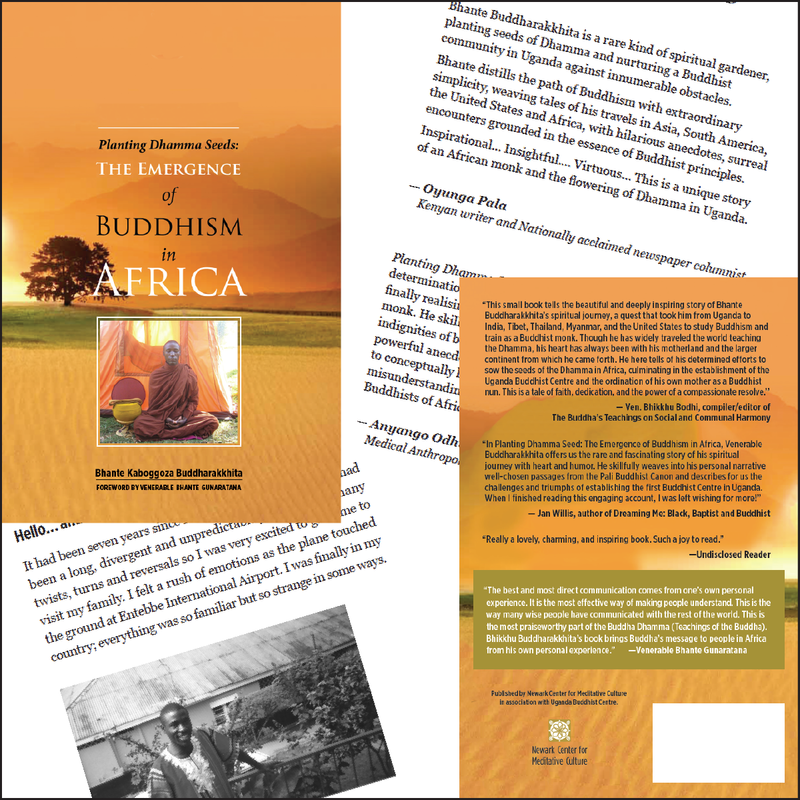 All of the proceeds (after costs) from the sale of the books sold at these programs will go to Bhante’s meditation center, Uganda Buddhist Centre, to help support programs such as their Peace School for Children, their Orphan Project, and their Women’s Livelihood Program. See our newsletter for descriptions of the programs you can attend to purchase these books. This entry was posted in Buddhism, Meditation, mindfulness, Spirituality, Study, Uncategorized and tagged #meditation, african buddhism, african spirituality, buddharakkhita. Bookmark the permalink.